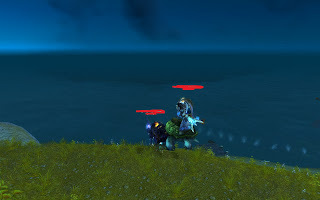 I was running buddys through the older dungeons, when we left this one they were allowed to join me on my mount.Yes, we tried a total of 4 mounts. Invincible, Turtle, Tauren Pally Mount, Goblin Trike. So I assume all work. Yes there is the Leave vehicle option. 2) Go out the back exit. 3) Hop on any mount. 4) Have another person get on the mount like its a passenger mount!